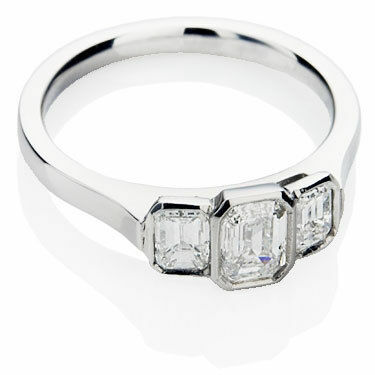 This emerald cut trilogy engagement ring was designed from scratch by our Custom Design Service department. The ring was designed on computer followed by being printed on a 3D wax printer. Finally the ring was cast and stones set. Pictures a 0.5ct center stone.